The end of the first semester has brought into light great achievments from regional cities in all real estate segments. Bucharest has also performed well and, according to the real estate consultancy company Colliers International Romania, the prospects for the remainder of the year remain strong. In the first semester of 2018, the Bucharest market saw deliveries of 33,000 sqm in new office spaces, and over 150,000 sqm are expected for the remainder of the year. Regional cities were more active, with Timisoara and Cluj-Napoca adding around 72,000 sqm of modern office spaces. As expected, gross take-up of office spaces in Bucharest decreased to 150,000 sqm. Still, the net take-up adds up to over 84,000 sqm, slightly higher than in 2017 and a new post-crisis high for the first semester. Tenants sought central hotspots in Bucharest, with Center-West and central areas dominating in terms of demand (28 percent and 26 percent of demand respectively). ”The strains on the labor market will test the overly ambitious developers’ plans (over 650,000 sqm announced for 2019 and 2020 on the Bucharest office market), as tenants compete with the state for employees and wrestle with a ultra-low unemployment rate (a bit over 2% for white-collar workers). Given the slow infrastructure improvements, the submarkets that offer good public transportation (central areas, Center-West or Floreasca/Barbu-Vacarescu) are likely to remain the most attractive. 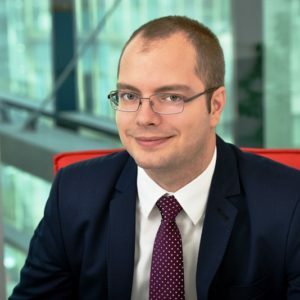 Peripheric northern areas outside Bucharest will be out of reach for the time being, while a new metro line in south-western part of town could open new office submarkets”, Silviu Pop, head of Research at Colliers International Romania explained. Over a quarter of total take-up for modern office spaces was generated by the IT&C sector, which was closely followed by companies from the energy and industrial sector (over 25 percent of gross take-up). Co-working companies also rented a record 16,800 sqm, with the biggest surfaces coming from two important entries on the domestic market – Mindspace (12,000 sqm) and Spaces (3,000 sqm). Demand from this sector is already double the level we saw for the whole 2017 and such demand will continue to flow in as Romania follows global trends. The first half of the year closed with overall investment volumes of EUR 404 million, an increase of close to 18 percent on the first semester of 2017, which shows that there are chances to see the EUR 1 billion handle exceeded this year. The biggest transactions were concluded in Bucharest on the office and retail segments (the sale of Oregon Park to Lion’s Head, the first phase of the Campus 6 project bought by CA Immo, Militari Shopping Center bought by the Prime Kapital/MAS REI partnership), but an interesting deal involving an institutional investor was concluded in Cluj-Napoca, where the UK fund First Property entered the regional city’s market through the acquisition of Maestro Business Center office project. The higher yields and strong growth story in regional cities support future deals outside the capital. The period was also marked by a growth of the investor base, which came alongside an increased ticket size: the average traded asset in H1 2018 stood at around EUR 40 million versus EUR 25 million a year ago. This is likely the highest average deal size in the last decade, highlighting a maturing market. ”Product availability is not an issue anymore, which ought to make way for a yield compression over the next year and half provided no negative economic shocks (internal or external), as office investment volumes alone could top EUR 0.5bn this year (some three times larger than 2017). Furthermore, there is a growing feeling that local investors have more capital they wish to allocate towards real estate, as they have fully benefited from the GDP expansion from the past years”, Silviu Pop concluded. In the first semester, 330,000 sqm in modern warehouse spaces were delivered (excluding self-developed warehouse spaces), more than double the level of the same period in 2017. Bucharest accounted for over 110,000 sqm, mostly in western and northern areas, Timisoara had 38,000 sqm and Pitesti and Ploiesti had 20,000 sqm each. The reported industrial leasing transactions were a bit under 110,000 sqm; the Colliers specialists believe that direct (and as such, unreported transactions) make up a significant part of the market, with vacancy still in low single digits. By the end of 2018, around 750,000 sqm could be delivered to the market, versus 2017’ surface of 500,000 sqm. Just the major developers expect to deliver 630,000 sqm, with smaller/independent players also quite active. Moreover, self-built storage spaces from major industrial, FMCG and retail companies add up to over 300,000 sqm; for example, eMag is expected to finish this year a 120,000 sqm warehouse near Bucharest and a significant part of this could be sub-leased for a period of time. With the modern warehouses stock set to surpass the 4 million sqm mark by end-2018, Romania is still lagging regional peers in terms of development, suggesting that there is still room to grow. The first half of 2018 saw the delivery of Bistrita Retail Park – 15,000 sqm and Focsani Value Center – 6,400 sqm. The second half of the year should be much more prolific, with around 168,000 sqm in new GLA. Vacancy was almost non-existent for good retail schemes, as existing brands expanded and new brands entered the market: Pinko, Tumi, Sizeer, Obsentum, Karaca. A notable re-entry was that of Hugo Boss, in the luxury high street area of Radisson Blu Hotel. Another interesting entry was Momax, which opened its first store in Romania in Timisoara, not in Bucharest. Romanian brands, like S-karp, Gerovital, Bebe Tei, Cartofisserie, have also continued increasing their footprint. As far as developers are concerned, they will continue to target regional cities, including smaller towns (with less than 50,000 inhabitants). On the other hand, as the competition stiffens and consumers become ever more demanding, developers will include refurbishments into their schemes, focusing mostly on the entertainment and food court components, but also by adding new fashion tenants. Another trend to look out for is that of big box retail formats shrinking to fit into shopping centers in order to be closer to highly populated areas. The post The medium value of real estate transactions in 2018 reached EUR 40 mln from EUR 25 mln in 2017 appeared first on Business Review.